The 41st President of the United States passed away November 30 at the age of 94. 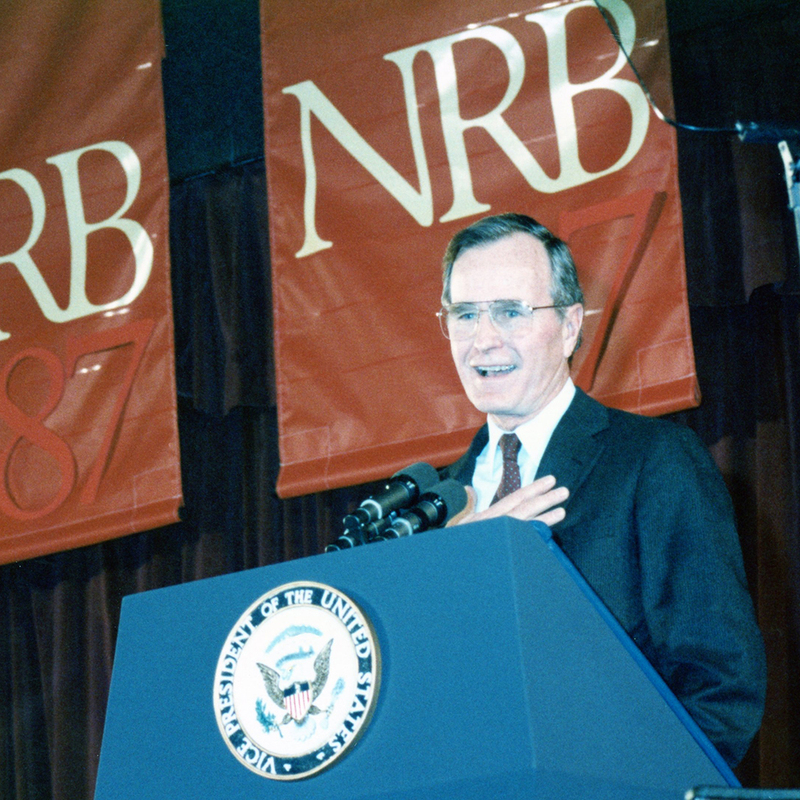 Bush spoke at NRB’s annual Convention six times, both as vice president and president. To watch Bush’s 1992 address at the NRB Convention, click here. Click here to watch Bush’s 1991 address at the NRB Convention, in which he defended the Persian Gulf War as a “just war” and talked about his reliance upon God as President. PHOTO ABOVE: George H. W. Bush, as Vice President of the United States, speaks during a session at the NRB Convention in 1987.